Odlo’s original CeramiCool yarn, the only fabric technology proven to cool the skin by 1°C through the natural cooling properties of ceramics, is the key component in the high-performance CeramiCool Pro baselayer shirt. Additionally, intelligent mesh positioning provides excellent ventilation for optimal climate control so you can go further and climb higher. The shirt’s unique polymer construction naturally provides UPF 25+ to help protect you when you're out in the sun this summer. 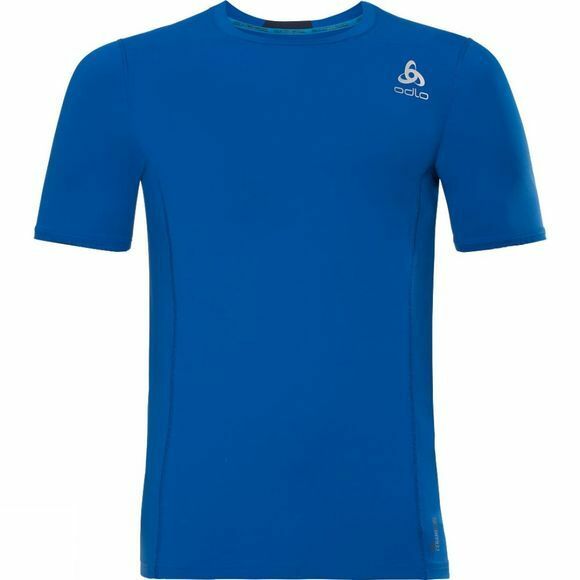 For intelligent cooling and increased sun protection, equip yourself with the CeramiCool Pro baselayer shirt for men.